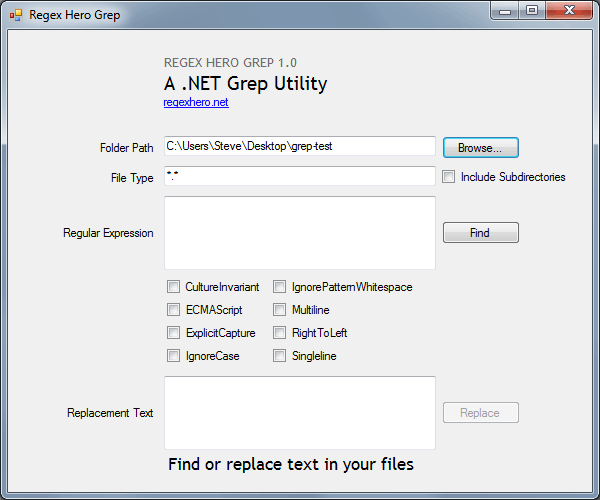 Find or replace text in files on your computer using regular expressions with this .NET Grep Utility. Note that the "Replace" button in this tool is a powerful thing. You should be 100% confident that your regular expression is working properly before replacing text in your files. I recommend backing up your files to be safe. And to test your regular expression thoroughly I recommend the original Regex Hero tool.